1 On the first day of the third month after the Israelites left Egypt—on that very day—they came to the Desert of Sinai. 2 After they set out from Rephidim, they entered the Desert of Sinai, and Israel camped there in the desert in front of the mountain. 8 So the women hurried away from the tomb, afraid yet filled with joy, and ran to tell his disciples. 56 Then they went home and prepared spices and perfumes. But they rested on the Sabbath in obedience to the commandment. 1 On the first day of the week, very early in the morning, the women took the spices they had prepared and went to the tomb. 2 They found the stone rolled away from the tomb, 3 but when they entered, they did not find the body of the Lord Jesus. 4 While they were wondering about this, suddenly two men in clothes that gleamed like lightning stood beside them. 5 In their fright the women bowed down with their faces to the ground, but the men said to them, “Why do you look for the living among the dead? 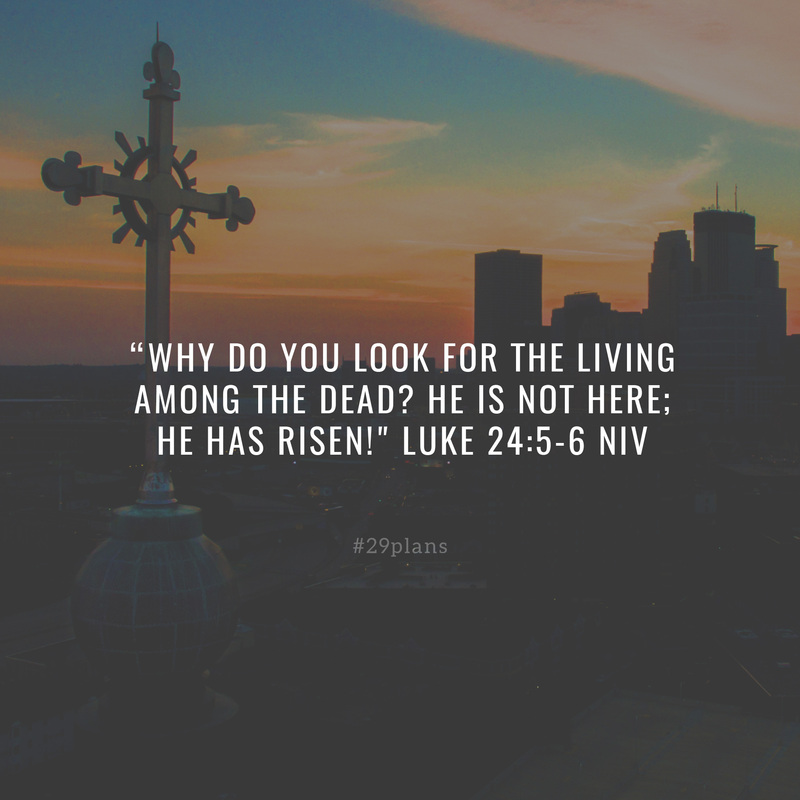 6 He is not here; he has risen! Remember how he told you, while he was still with you in Galilee: 7 ‘The Son of Man must be delivered over to the hands of sinners, be crucified and on the third day be raised again.’ ” 8 Then they remembered his words.